Office of Survivors Assistance - a resource for benefits and services provided by the VA to survivors and dependents of deceased Veterans and members of the Armed Forces. VA Caregiver Support - services you and your family may be eligible for. Give them a call at 1-855-260-3274. 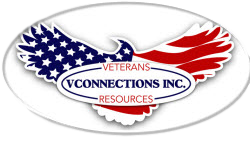 Veteran Aid and Attendance - this benefit is not dependent upon service-related injuries for compensation. Aid and Attendance can help pay for care if the veteran is housebound, bedridden, in a nursing home or an assisted living facility. Mesothelioma Center at Asbestos.com - free information, resources, and personal assistance to those who have been affected by mesothelioma and asbestos exposure.